Pizza is the democratic food of our times — and that’s exactly why we’ve put it front and center in our restaurants. The Commons is the food and beverage offering of The Student Hotel, a company with huge social ambitions that’s connecting a community of international students with entrepreneurs and locals, introducing them to Europe’s major cities while giving them one of the best years of their lives. We also aim to invigorate the local areas, attracting and serving both tourists and local businesses with amazing facilities and incredible design. It’s quite a task creating a menu for The Commons, the restaurant where all these groups should come together to eat, drink and fuel themselves to change the world. When we considered the dishes that may be up to that task there really was only one way to go — pizza. Pizza is the democratic food of our times, appropriate when on a date, cramming for exams, preparing for a day of sightseeing or taking a break from an intense meeting. Coming from humble beginnings, pizza has become an international staple that infiltrated the cuisines of every major nation around the world. If we had to sum up The Student Hotel ideology in one kind of food, then that food would most definitely be pizza. So you can’t go wrong with pizza then? Well, it’s slightly more complicated. Pizza comes with a bit of baggage — along its journey to conquering the culinary world, it has had a few hiccups and false starts. Fish and chips pizza anyone? Bolognese stuffed crust? Battered and deep fried? Yeah, no thanks. I’m fresh out of a pizza innovation meeting (yes, I love my job!) and there were a lot of opinions around the table. Does the Hawaiian pizza stay (big debate)? Could we get away with a Peking Duck pizza? Should we change our cooking style to incorporate deep pan pizza? The cook-off is in a couple of days and I have high hopes for tasting pomodoro sauces that celebrate the tangy sweetness of tomatoes, finding the perfect stringy and delicious mozzarella and hearty, warming dough bases. Nailing these key ingredients will ensure that we honour pizza’s heritage — so with that done, why not have some fun? 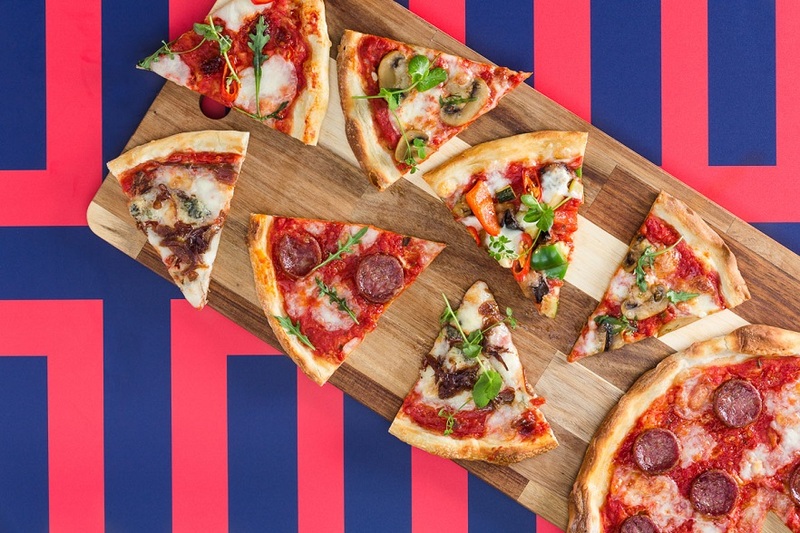 Pizza was never intended to be a high-end meal, and though I’ve sat some pretty fancy tables and sliced through some extremely pleasant pizzas with cutlery in hand, our Commons pizzas are intended to bring joy to the masses. So you may be seeing Peking Duck pizza turn up on our menus. You may even see the return of the Hawaiian. And if we’re connecting China and Hawaii then we may as well go and change the world while we’re at it!